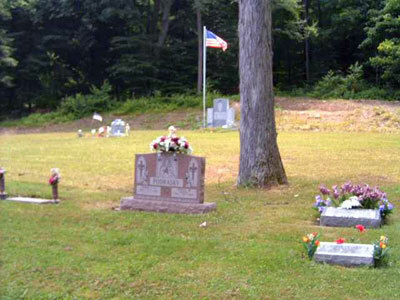 Our Lady of Mount Carmel National Catholic Church Cemetery is located in Lilly, Pa., on the grounds of the recently built church. Traveling north on Route 53 in Lilly, turn right onto Piper Street, travel along Piper Street and then make a right hand turn onto Park Drive. Follow Park drive and the church and cemetery will be located on your right.